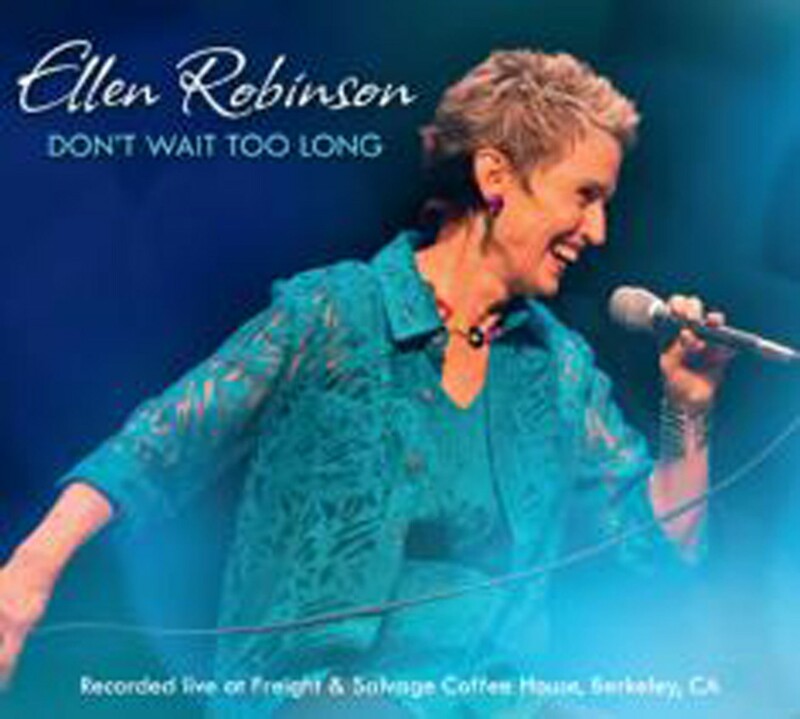 Ellen Robinson's alto pipes glow like a lightning bug on a warm summer night as she sings the Lerner and Loewe standard "Almost Like Being in Love" on her third album, Don't Wait Too Long. Much like her predecessors Jimmy Scott and Shirley Horn, the Oakland jazz singer takes advantage of down-tempos from her slow, samba-infused backup quartet to penetrate the meanings of her material. Robinson works wonders with Jule Styne's "Dance Only with Me," Michel LeGrand's "You Must Believe in Spring," Irving Berlin's "Be Careful, It's My Heart," Bob Telson's "Calling You," Burke and Van Heusen's "But Beautiful," and Joni Mitchell's musical arrangement of the 1895 Rudyard Kipling poem "If." Ballads dominate the album, recorded last year at Freight & Salvage. The pace picks up from time to time, including on the swinging "Soon," one of three Robinson originals in the set. She and the band add a jazz-waltz groove to the bossa-nova-flavored Ruby and the Romantics' hit "Our Day Will Come" and treat the Madeleine Peyroux-penned title track as a sassy shuffle.